Cremation is the fastest growing part of the funeral business and families who choose cremation often look for ways to remember their loved ones, and cremation jewelry is one of the most popular. According to a recent report issued by the National Funeral Directors Association, close to 50% of people now choose cremation compared to a traditional burial because it is more efficient, costs less than other types of funeral services, and requires very few decisions. Below is a preview of what you’ll learn from this article. How does cremation jewelry work? How much is cremation jewelry? What types of jewelry can be cremation jewelry? How do you seal cremation jewelry? What stores sell cremation jewelry? After the funeral and cremation service, many people choose to scatter the remains, or place the urn in a gravesite or columbarium. Others will bring the urn home to sit on a shelf or mantel. However, some families prefer to keep the memory of a loved one literally close to them by either keeping a small amount of the cremated remains, a lock of hair, dried flowers from the services, or other small remembrances inside a piece of jewelry. Cremation jewelry, which is also known as memorial jewelry, remembrance jewelry or funeral jewelry, is a unique and highly personalized way of remembering a loved one. The jewelry can be worn or displayed at home in a jewelry box or a display dome. Cremation rings, cremation bracelets, and cremation pendants are some of the more popular forms of this type of jewelry. Although the idea of cremation jewelry may be new to some people, remembering loved ones with a piece of jewelry has been around for centuries. In the 17th and 18th centuries, mourning rings were presented to bereaved family members. These rings were often times inscribed with the name of the deceased person, along with their date of birth and death. In the 19th century, it was a common practice for men to leave behind locks of their hair when they went off to fight in the Civil War in case they never came back home again. Family members have an unlimited amount of options to customize the jewelry so that it provides a highly personalized remembrance when it is worn or displayed. Some people also choose to create cremation jewelry for pets as well. 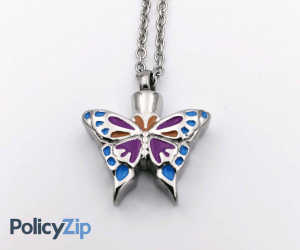 Below is an example of one of the more common types of cremation pendants many people purchase. 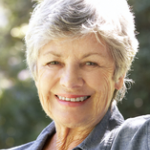 Why do people choose cremation jewelry? Choosing to wear or display cremation jewelry is a highly personal choice. Some people are comforted by the fact that when a small piece of a loved one is placed near their heart, they enjoy a sense of peace and connection to the departed person. In some instances, people prefer to keep the meaning of the jewelry to themselves, remaining discreet about the importance that it holds. Others are more open about wearing a piece of cremation jewelry and use it as an invitation to share memories and stories about their loved one. While there may be situations where religious or spiritual teachings frown on cremation jewelry, the general consensus is that if it brings a person comfort and peace, then why not wear it or display it. Cremation jewelry engraved with a special message also means a much more highly-personal approach to remembering a loved one as well. What are the advantages of cremation jewelry compared to traditional urns and traditional burials? There are five important reasons why choosing to honor a loved one’s memory with cremation jewelry is better than a traditional urn or a traditional burial. Cost. This may be the biggest reason: Traditional funerals can run into the thousands of dollars. The average funeral today in the U.S. is almost $9,000. And, depending on how you want a loved one’s final remains to be displayed, a large and traditional cremation urn can also run into hundreds of dollars, and sometimes more. Conversely, cremation jewelry can run as little as $50 per piece and provides more options when a tight budget is a consideration. Portability. With a traditional burial, family members must make the trek to a cemetery to visit a loved one. A traditional urn will also be placed in a cemetery or a columbarium or may stay at one relative’s home. Having cremation jewelry means that several family members can honor a loved one simultaneously and continuously with a piece of jewelry that they wear at all times. Customization. A burial site allows for one headstone or tombstone. A traditional urn is also only a single vessel. However, if several family members want to remember a loved one in their own way, they can make independent choices about what kind of cremation jewelry they choose to wear. Cremation jewelry engraved with a special message also makes a piece much more unique and personal. Appropriate for all family members. Thanks to the unlimited design and materials choices that cremation jewelry for ashes offers, it is appropriate for all family members to wear in some way, shape or form. Masculine designs, including rings and bracelets, makes sense when it comes to cremation jewelry for men, dads, brothers, husbands and sons. Women have even more choices. It is easy to find a wide range of meaningful and stylized cremation jewelry for moms and daughters. Appropriate for special situations. Cremation jewelry is flexible enough that pieces can be worn for a number of special situations. For example, cremation jewelry for two can be worn to honor a mother and father who have passed away. Cremation jewelry for infants is also available for parents who may have lost a young child. People also routinely create cremation jewelry for pets. In fact, cremation jewelry for dogs and cats is extremely popular and an inexpensive way to remember a family’s faithful four-legged friends who are now gone. In general, there are two types of cremation jewelry. The first is when actual ashes are placed in some sort of vessel which is then sealed and worn like regular jewelry. A small “urn” with a screw-off top allows a funnel to be used to load the ashes before the top is screwed back on and sealed. Pendants are the most common form of this type of cremation jewelry. These can be purchased through funeral homes or online. A funeral home may be able to fill the vessel for you. Retailers will provide you with a kit to help you fill the jewelry. The second type of cremation jewelry is actually made from the ashes of a loved one. The most common examples of this are ashes that are mixed with glass, porcelain or other similar materials and then transformed into cremation beads, crystals or diamonds. This method can take several months and is more expensive that purchasing a vessel. Budget. Prices can start at about $50 for simple cremation rings, cremation pendants, and cremation bracelets. However, like any type of jewelry, costs can go up into the thousands of dollars. Design. Many people choose something that is personal to them, whether it’s an animal design, a cross or something else that is meaningful. Materials. You can choose from a variety of materials such as gold, silver, pewter, titanium or even wood. Price and personal choice will help guide you here. Retailer’s Reputation. Check online reviews and return policies, and if you are buying an expensive piece, check to see if you can finance it. Customization. Perhaps you want a custom design or an engraving. Ask about how these issues are addressed and what the retailer’s track record is. Might even be worth getting names of customers who have previously purchased from the retailer. We commonly get this question. Can I get pet cremation jewelry? Yes! Cremation jewelry for dogs and cremation jewelry for cats are popular choices that can remind owners of the playful and loving nature of their furry friends. In addition, there tends to be a greater societal acceptance of pet cremation jewelry, perhaps because there are no religious concerns which can sometimes be the case with human cremation jewelry. One of the added benefits of pet cremation jewelry is that it can be especially meaningful for younger children who may be having a hard time with the loss of their pet. The creation of a permanent memorial can ease the pain and the intense feelings that a child may be experiencing for the very first time in their lives. Regardless of the pet owner’s age, cremation jewelry for pets is sure to bring a sense of comfort to any pet owner suffering from the loss of their faithful friend. Much like cremation jewelry for people, cremation jewelry for pets ashes comes in a variety of possibilities ranging from cremation pendants to dog tags, cremation bracelets, and more. Asking the question of how much cremation jewelry costs is much like asking how much a car costs. There is no single answer. Basically, the cost will depend on what kind of materials you use, such as gold, silver or titanium, the complexity of the design you choose, the type of jewelry you choose (cremation rings, cremation pendants, lockets, etc.) and whether or not you decide to include precious stones. On the low end, cremation jewelry made from brass can cost as little as $40 to $50, depending on the complexity of the design. Gold-plated pieces can cost $300 and up. More unique and complex designs or those that are one-of-a-kind pieces can easily run into the several hundreds of dollars and often thousands. When adding crystals and gem stones, costs can start at $500 for crystals made from cremated remains and run up to well over $1,000. Again, price will depend on the size and color of the crystal. On the high end, some people choose to have diamonds made from cremated remains. This process can take several months and prices will vary widely depending on several factors. Prices can range from a few thousand dollars to as much as $20,000 or more for the diamond alone. Settings will be an additional expense to consider. Where you purchase a piece of cremation jewelry will also determine how much you pay. As cremation jewelry has risen in popularity, some manufacturers have started producing pieces on a mass scale, driving the price down. But if you opt for a custom designed piece, you will pay a premium. A good place to seek advice on where to buy a piece of cremation jewelry will be at your local funeral home. Many are now offering cremation jewelry as an option for their customers. Searching online will also produce thousands of results, as well as providing you with answers to most any question you may have. Below are two examples of best seller cremation pendants. Click below for exclusive PolicyZip pricing. How can I make cremation jewelry? For people with the means and the desire, they can make cremation jewelry that will include cremation diamonds. Cremation diamonds can be made using the ashes of a loved one and mimicking how the earth creates natural diamonds. Natural diamonds are formed when extreme heat combines with intense pressure deep in the earth. Using processes that replicate this naturally-occurring event, cremation diamonds are created in the lab. The results are synthetic diamonds that are aesthetically very close to natural diamonds that have the same brilliance and shine. Cremation diamonds are made from the carbon contained in the ashes of a person’s hair. It is extracted under intense heat and then put under high degrees of pressure. The diamond is then put into a growth capsule and placed in a growth chamber where crystals slowly form to ultimately create a rough diamond, which can take several months. A diamond cutter then facets it into the desired style, giving the family member exactly what they want for a finished product. Cremation diamonds will vary in price according to the four C’s which has guided the diamond industry for decades: color, cut, clarity and carats. While growing a diamond does give a certain amount of control to the final outcome, it’s interesting to note that while a person can choose a color family (brown, red, pink, gray, blue, green, violet, purple, yellow, orange, or clear) for a diamond, there are no guarantees as to the exact color that the diamond will turn out to be. That’s because each person’s ashes are unique, meaning that the resulting diamond will be distinct, just like the person was in real life. Once the diamond has been created and cut, it can then be placed in any kind of jewelry that a person desires. The cost for creating a cremation diamond is not cheap. Depending on the factors mentioned above, prices can range from about $1,000 all the way up to $20,000 or more. This does not include the cost of the setting which can add as much as another $2,000 or more to the final amount. Thanks to the rise in the popularity of cremation jewelry, there are an almost endless amount of possibilities when it comes to choosing a piece of cremation jewelry. Check out the best sellers here. Here is a full list of the most popular designs. If you have something specific in mind, it is a relatively easy task to find a cremation jewelry vendor who will work with you to customize and personalize your jewelry to your specifications. Another thing to consider is that if you find a regular piece of jewelry that you really like, chances are you can have it recreated into a piece of cremation jewelry. Part of your decision may be driven by cost, but you can always keep this as an option if you feel strongly about it. It depends. Once a pendant or urn is filled with ashes, it is encased with a strong and protective sealant to protect it from the elements. Some pieces are waterproof, while others may resist water, but will not guarantee that the piece of jewelry is waterproof. In all cases, to protect your treasured piece of jewelry, dealers and manufacturers do not advise wearing cremation jewelry while swimming or showering. In some cases, you may not be comfortable with the idea of handling a loved one’s ashes to put them into a piece of cremation jewelry for ashes. If that is the case, then a funeral home will be able to assist you more often than not. If you want to attempt filling a piece of cremation jewelry with ashes, you will use a small funnel that will help you to transfer the cremains. Typically, you will be dealing with a small amount, such as a quarter to a half of a teaspoon. In addition to the funnel, you may also want to have a small object such as a paper clip or toothpick handy that you can use to help nestle the remains into your jewelry vessel. Once it is full, most pendants usually have a small threaded screw opening located at the back or the bottom of a piece. Because they are small and generally delicate, you should gently open and close the piece to avoid damaging the threads. To seal your cremation jewelry piece, use a non-water-soluble glue. Sometimes moisture can accumulate in the threads and using this type of product will keep the piece from becoming un-glued over time. Cremation jewelry is NOT water proof! Place a small quantity on the threads first instead of the actual bale or the threaded screw. You are dealing with a very small piece of jewelry in this instance, and families will often times seek help from a local jeweler to complete this step for them. Funeral directors may also be able to complete this task as well, you just need to call them and ask.